The domestication of grapes dates back five thousand years ago and has spread to nearly all continents. In recent years, grape acreage has increased dramatically in new regions, including the United States of America, Chile, Asia (China and India), and Turkey. A major limiting factor to the sustained production of premium grapes and wines is infections by viruses. 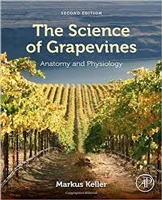 The advent of powerful molecular and metagenomics technologies, such as molecular cloning and next generation sequencing, allowed the discovery of new viruses from grapes. To date, grapevine is susceptible to 64 viruses that belong to highly diverse taxonomic groups. Recently, two new disease syndromes have been recognized: Syrah decline and red blotch. Losses due to fanleaf degeneration are estimated at $1 billion annually in France alone. Other diseases including leafroll, rugose wood, Syrah de cline and red blotch can result in total crop loss several years post-infection. This situation is further exacerbated by mixed infections with multiple viruses and other biotic as well as adverse abiotic environmental conditions, such as drought and winter damage, causing even greater destruction. The book builds upon the last handbook (written over twenty years ago) on the part of diagnostics and extensively expands its scope by inclusion of molecular biology aspects of select viruses that are widespread and economically most important. This includes most current information on the biology, transmission, genome replication, transcription, subcellular localization, as well as virus-host interactions. It also touches on several novel areas of scientific inquiry. 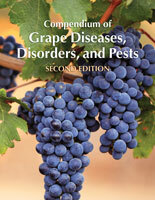 It also contains suggested directions for future research in the field of grapevine virology.